How do I get my video to rank on YouTube? This question is on the mind of many YouTube enthusiasts that are looking to get more visibility for their videos, grow their subscriber base and channel strength. Let’s be honest. Making decent videos takes a lot of time and effort. The equipment, the planning, the editing – these require money and energy and most likely you are in it because you enjoy it. So, since you are already putting in so much, it would be a shame if no one ever saw your video. In this post, I will explain all the ranking factors YouTube uses to figure out exactly where your video belongs in the rankings and actionable tips you can use to make sure your video is visible to your audience. YouTube is the dominant platform for video searching. There are some people who also claim it’s a type of search engine and social media, but that is up for debate. YouTube provides you with an opportunity to promote your business for free to millions of users. It has great ROI as you can generate amazing results without too much investment. This video hosting service is owned by Google, which takes us to another one of its advantages. The videos you upload to YouTube are indexed immediately by Google and appear in Google’s video SERPs. With the YouTube intro out of the way, let’s get to the ranking factors. The reason why you should concern with any of these is simple. Your video gets indexed by something called bots. These are programs that scan your video and determine where it belongs topic-wise, how it relates to other videos and how valuable it is. The search engine bot uses the following ranking factors, which can be divided into two groups. These are the factors that you have total control over. These factors are beyond your control. You can influence them, but in the end, it is up to the viewers how they react to the video or how they interact with it. Audience retention – How long have you managed to keep each viewer? Did they see the whole video or clicked it away after a few seconds? This connects directly to the video length as shorter videos will be hard pressed of ever achieving higher retention. If people are watching more of your video, YouTube will see it as being valuable, suggest it to other viewers and rank it higher. It also shows that YouTube does not care about the raw number of views that your videos get, but more how the viewers react to it. Length – the average length of the Top 5 videos is 11 minutes and 44 seconds. YouTube uses estimated watch time as a viewer engagement metric. The longer your video is, the longer your total watch time will be. Links – Number of domains that link to the video or have it embedded on their site. Of course, the higher the domain authority of these sites, the better. The same model (more or less) applies to your channel and affects each video that is uploaded to it. Your visibility is affected by your channel strength and your channel strength is determined by two things – Trust and Authority. The difference between the two comes down to (again) elements you have total control over and elements that you can only influence. Both Trust and Authority are affected by how frequent you upload new videos and how frequent viewers interact with them. So, that’s all fine and dandy, but how do you keep track of all of this for optimization? Simple. 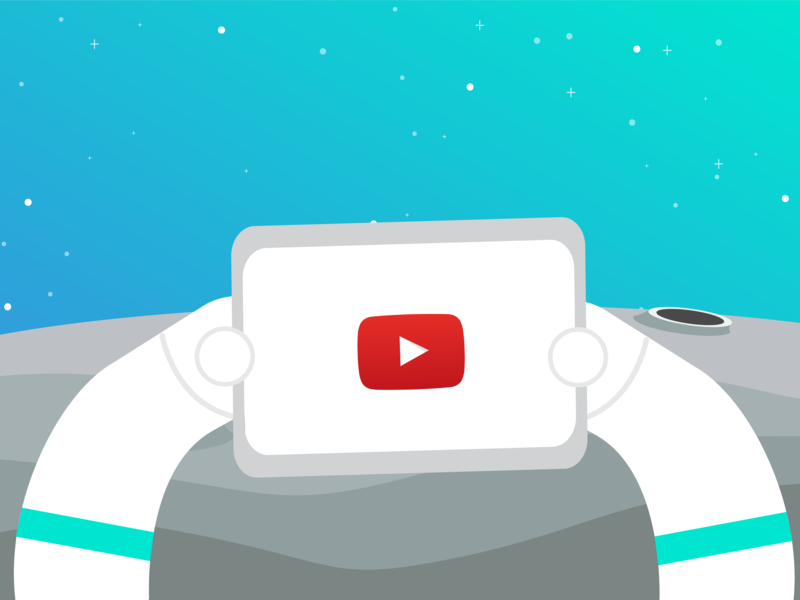 You follow our actionable tips for YouTube SEO. Before even uploading a video, you need to know which keywords you want to optimize for. By using keywords, you are helping your audience find you and you are helping the search engine display your video for the right queries. Keyword research for videos is not much different from doing keyword research for your blog articles or website. And the best keywords you can use are those that line up with user intent. These are long tail keywords and you can read up on how to find the best ones in our step-by-step guide. There is one extra thing you might want to add to your keyword research strategy. And that is doing keyword research by using YouTube’s search bar. Just like Google, YouTube gives you suggestions for long tail keywords based on what users are actually searching for. 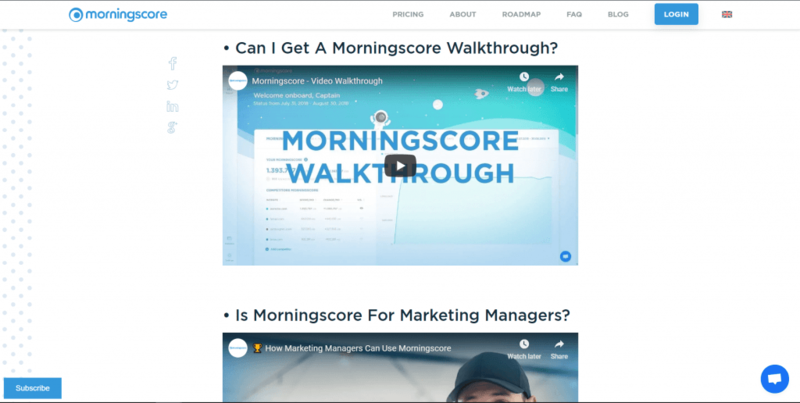 So, it is a good idea to check it out and use them in your video optimization. After the keyword research, start working on your channel. As said before, having a channel that is optimized will have an effect on all the videos that you upload. Start with a catchy channel name, something easy to write and remember. Don’t forget to use a nice photo of yourself or your company logo for the channel icon and use a banner that is easy on the eyes and reflects your brand. Use keywords in your channel description. This is the first of many times where I will remind you to use your keywords. It would be very helpful if your channel could have a user-friendly URL. However, there are some requirements your channel needs to fulfill before you are allowed to change your URL. Don’t forget to add links to your website and social media. The average length of the top 5 videos for a search query on YouTube has been rising with each new year and it now reaches 14minutes. The length itself seems to be a ranking factor that YouTube takes into account as it is something that might point at a higher value of a video just like its quality does. So, the fact is that HD videos and videos with a longer duration rank better on YouTube. The video length alone is not the deciding factor though. Longer videos will have a longer collected watch time if they are engaging enough, so consequently they will rank better. But don’t try to make your videos longer only for the sake of getting a few extra minutes in there. You also need to take into consideration the purpose of your video. There is a huge difference between a video blogger and a company that just wants to promote their products. The videos from these two examples will have very different lengths and, in all honesty, this is ok.
Here’s another opportunity to use your keyword. Don’t use names like ef13df.mp4. Change it to something descriptive, add your keyword into the mix, use hyphens as word separators and avoid stop words. There are some studies that show that the ideal length of your video title is under 50 characters. In my experience, it’s about the 50th character mark that the title gets truncated. This basically makes anything written after the 50 characters useless in driving traffic to your video as the users will not see it displayed in the search engine list. It is not an exact science though, as I’ve seen some titles shortened after 46 and others after 54 characters. So, you will need to check how your video title appears in the search results and adjust it if it’s cut short. Using exact match keywords in the title gives an advantage and it should be as close to the beginning of the title as possible. Try not to use all caps, overhype your video in the title or use click bait. Clickbait might get people to your video, but it won’t make them stay. This will tank your engagement rating in the long run. Some SEO experts advise that your description gives a sneak preview to the video. You should describe what they will see in the video without giving all the good bits away. Other SEOs think you should add a transcription to the description. But seeing as there already is an option for adding a transcription to your video, I do not really see a point in this, as it in no way adds value to anyone. The allowed length of the description is 5000 characters, so feel free to use up at least some of it. Longer descriptions have been known to improve your rank on YouTube because YouTube sees it as valuable information. You can use timestamps and links to your website, social media or other resources. And of course, don’t forget to use your keywords with the main appearing as close to the beginning of the description as possible. The thumbnail is something you have control over but seeing it’s an image it will have no direct impact on YouTube’s search engine. However, an attractive thumbnail will increase your click-through rate, so it is definitely something you should keep in mind when picking one. In any case, don’t let YouTube assign one for you. The perfect thumbnail is attention-grabbing, teases potential viewers, and reflects a video’s subject. A good trick is to do is to write your main keyword in YouTube’s search bar and look at what your competition is using. This is the crowd to beat and your thumbnail needs to stand out. Use contrasting colors to those already in use or simply a color no one else is using. The transcription can be opened by clicking on the “More actions” button (the three horizontal dots) and then clicking on the Open transcription option where available. You should always add them yourself because the auto-generated transcription by YouTube will be full of mistakes. The only thing you need to do is add the whole text at once and YouTube will automatically sync it to the video and create closed captions. Closed captions and transcriptions can impact user engagement and watch time and these two factors boost the ranking of the video. They are used by people with hearing impairment, so using them can increase your reach and prolong the watch time of your video. You should also consider adding subtitles for multiple languages. Either to simply increase your reach and get a chance of engaging an audience you would otherwise never have access to, or simply because you would like to use the same video for different countries. Unfortunately, it seems that YouTube is moving in the same directions with their tags as Google did with the meta keywords. Meaning, they are reducing the importance of this element and are focusing on other factors to determine topical relevancy. But YT still recommends that they be used and as long as that is the case, it’s something you should invest your time in. If you are a bit lost on the whole keyword research thing and want a shortcut, then look at which tags your competition is using and “borrow” them. There are two easy ways to find out which tags they are using. The first is by using the free online Video tag extraction tool. The only thing you need to do here is to copy the URL into the query bar and voila! Here are your new tags. The second one is getting your competitor’s tags by using Screaming Frog. Download Screaming Frog if you do not have it already. (It’s free.) Copy the URL of the video you think you compete with and let Screaming Frog scan it. Then read the Meta keywords tab – these are the tags! See if you can get some inspiration from the keywords/tags they thought were important for the topic. YouTube loves to see engagement on a video. The more likes, views and comments and the higher the CTR, the more value YouTube will place on the video. And up the ranks you go. These features allow you to make your videos interactive and are a great way to engage even more with your audience. You can use them to gather data using surveys or to promote your products and website. Suggest videos and playlists to keep your viewers attention and send them to some of your other content. The playlists you create can, but don’t necessarily need to contain only your own videos. By making topical playlists, you improve your video’s relevancy for the keywords you are using. One of the ways of connecting your channel to your website is to create supporting content. Write an article for your website that discusses the same topic and uses the same keywords. Here you can elaborate on the content of your video or use one as an introduction to the other. You can either embed the video right on this page or simply link to it. If your website users do not normally visit YouTube, then embedding your videos on your website is the way to go. They will still contribute to your videos watch time. Social signals have an impact on ranking. Share your videos on social media to increase your reach and amount of views. 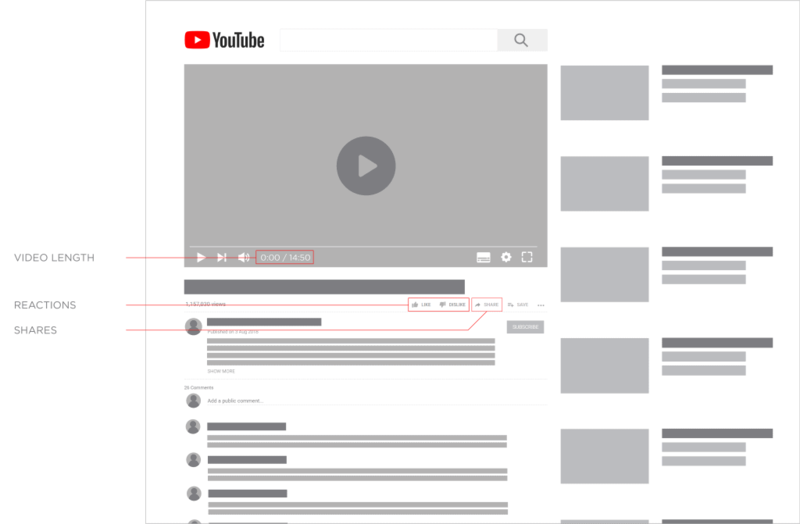 YouTube makes it easy for viewers to share the video on their own social media, so don’t forget to ask for shares in your cards and end screen. Getting your video linked to or embedded on another website increases the amount of traffic to your video and subsequentially views and engagement. An easy link building strategy is to join communities that match with your topics and find questions your video could answer. Don’t forget to get links to your channel too. Uploading videos regularly is a good way to increase your channel strength. It proves to YouTube that your channel is a topical authority that provides regular value to your subscribers. Don’t do it just to appease YouTube’s search algorithm, but also to engage your subscribers and grow your brand awareness. 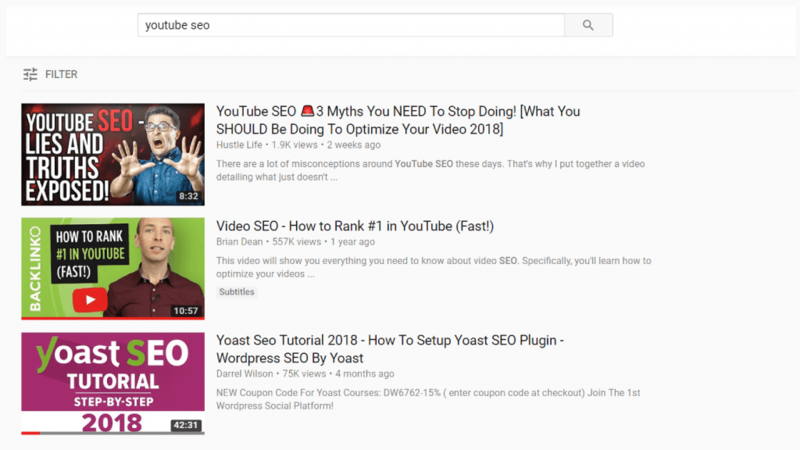 I hope you learned something new about YouTube SEO and are now ready to use these tips to get your videos to rank on YouTube.